Something to Muse About: AMC's "Preacher" Concludes Explosive First Season! AMC's "Preacher" Concludes Explosive First Season! AMC's "Preacher" concluded it's first season on Sunday with more explosive developments that are sure to have longstanding consequences that will extend into season two. The show's premise surrounds the lead character of Jesse Custer (Dominic Cooper) as a preacher that becomes possessed by a supernatural entity known as Genesis that bestows upon him the ability to command others to do as he says when he puts on a particularly authoritative tone of voice. 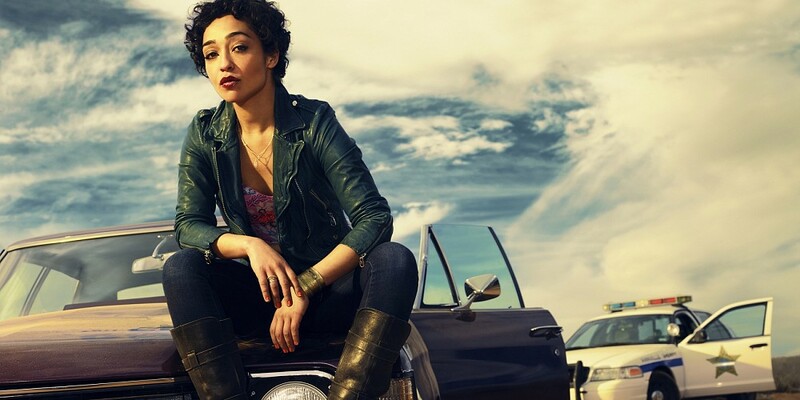 Rounding out the main trio is Jesse's childhood-sweetheart Tulip O'Hare (Ruth Negga) and vampire best friend Cassidy (Joseph Gilgun). Though "Preacher" began its run with a slower pace and jigsawed manner of story-telling that left viewers with more questions than answers, it picked up pace and strengthened the drama of its character moments as it carried on. The most intriguing question of the season finale lies in the explosion that wiped out the entire town, during which our lead trio was away thanks to Tulip's conveniently-timed craving for fries. If everyone in the town was truly wiped out, than "Preacher" will have the fascinating task of setting up all new supporting characters to weave in and out of the main trio's plot. We would wager that Eugene's (Ian Colletti) rescue from Hell will be returned to, as will the rise of the Saint of Killers (Graham McTavish) who has been summoned to Earth to hunt down and kill Jesse by the Angels. Then there's the little matter of God being missing and everyone up in Heaven that had been orchestrating such an elaborate cover-up. Indeed the show seems ripe for even more action, drama, and supernatural excitement in the coming season. Vikings star joins Fan Expo Canada's guest list!